(Central Islip, N.Y., April 1, 2019) – The Long Island Ducks today announced they selected the rights to left-handed pitcher Jon Niese at the Atlantic League’s Player Showcase, held this past weekend at the TigerTown complex in Lakeland, Fla.
Niese spent nine seasons in the Major Leagues, including eight full seasons with the New York Mets (2008-15) and one season split between the Mets and Pittsburgh Pirates (2016). He compiled a 69-68 record with a 4.07 ERA, three complete games, two shutouts, 1,189.1 innings pitched and 914 strikeouts over 211 games (197 starts). The 32-year-old also made six relief appearances during the MLB playoffs in 2015, helping the Mets to a National League championship. In 2010, the Ohio native was named as one of the five starting pitchers on Baseball America’s Major League All-Rookie Team. 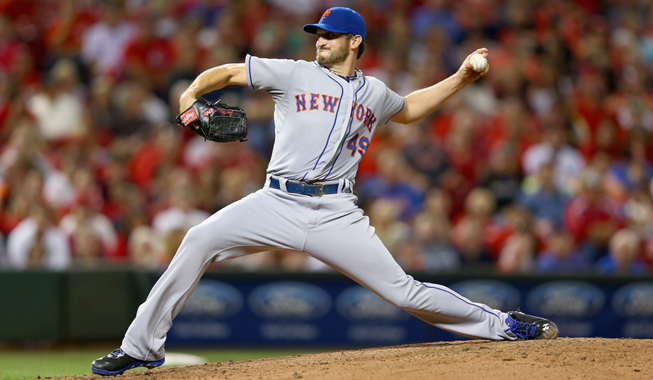 Niese was originally selected by the Mets in the seventh round of the 2005 amateur draft. A total of 11 players were drafted by Atlantic League clubs following the Player Showcase, which took place March 29-31. Over 300 players with varying levels of previous experience participated, including many with MLB service time. More than two dozen Major League Baseball clubs were represented at the event as well. CLICK HERE to see the full list of players selected. The Atlantic League and Prospect Dugout, who produced the event, will announce plans for the 2020 Player Showcase in the coming months. Stay tuned to AtlanticLeague.com for further details.